and 3 bean bags. Great backyard game. Amy from DeWitt, Efrain from Pico Rivera & 6 others purchased this item recently. 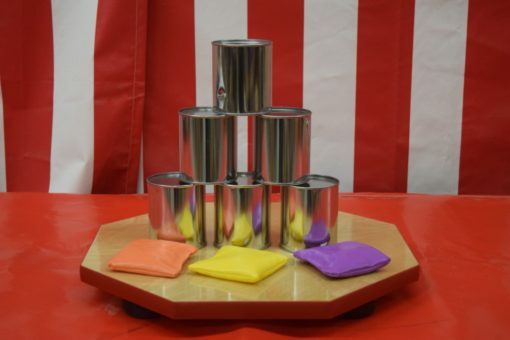 This game set includes, platform 6 tin cans and 3 bean bags.